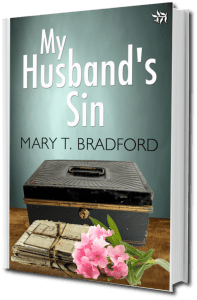 This is a guest post by author Mary Bradford. She is sharing here with us her writing journey. When I began writing short stories and flash fiction, I wondered if I’d ever write a full novel, but I often dismissed the thought. Sitting down to write a book is time-consuming, takes dedication, discipline–and, of course, a great story. My hands were full as a mother to four children and time was scarce, so the short stories and flash fiction pieces suited me perfectly. Yet the yearning to know if I could do it, write that novel and hold it in my hand, feel the paper, admire the cover, kept tapping me on my shoulder and poking its head beneath my face as I stared at the sheets of paper before me. I wrote longhand, all pen to paper for me then. Then, at a funeral, I began to wonder what secrets lay buried in the graveyard. Stories that would never be told. An idea began to unfold in my head and when I started to write the story, my novel was born. My Husband’s Sin is a contemporary novel set in both Dublin, Ireland and Chester, England. It involves the Taylor family and Lacey in particular. She’s the youngest in the family, and when their mother, Lillian, dies, a revelation in her will shatters the family unit. Published by digital Tirgearr Publishing in Ireland, it received great reviews on Amazon and I thought that was that. Until my readers asked, what happens next? I was pleasantly surprised and so the second book in what has now become The Lacey Taylor Story came about. Don’t Call Me Mum, was published in March 2018. Can you guess what happened next? Yes, the readers wanted more and I am at present planning the third and final novel of this trilogy. So, from wondering if I could ever write a novel, I’ve ended up writing a trilogy. Which means, when you have dreams go for them! There will be moments of doubt, fear, exhaustion, and hair-pulling but so worth it when you finally write those two magical words, The End. Don’t let the word-count or the genre of what you are writing sneak beneath your skin and sow seeds of unnecessary worry. Writing your story is the important aspect you need to concentrate on; all else takes a back seat. Once your story is told and that first draft completed, then stand up and take a bow. Many people talk about writing a book and often start one, but it is those who finish it who are the writers. Now the hard work begins: editing, fixing plot loopholes, developing characters, and everything else in the kitchen sink needs to be attended to. But you have a full manuscript to work with, and the buzz of excitement will see you through. Remember, if you do it once, you can do it again! 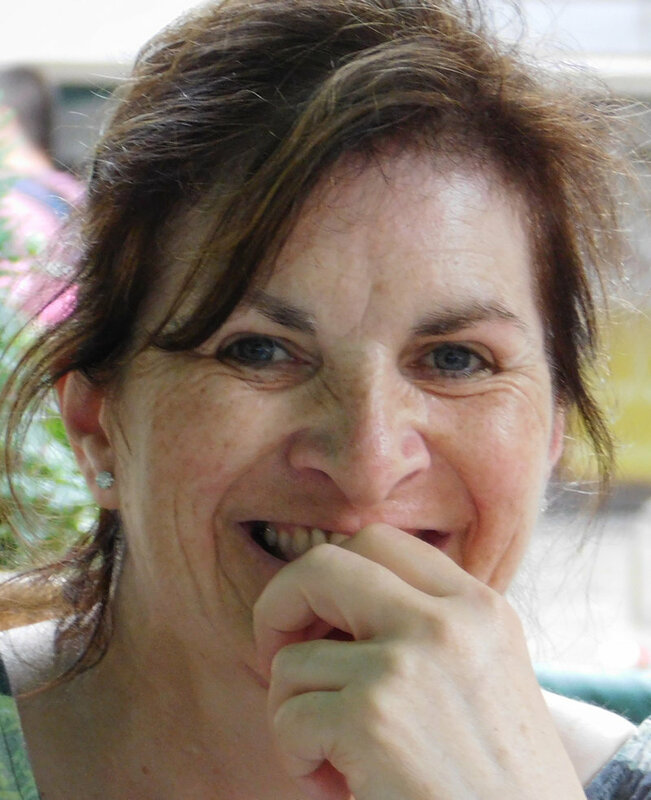 Mary is an Irish author who has written across genres, her main genre being Women’s Fiction. She has overcome open-heart surgery to focus on her writing and in her time out for relaxation she loves to crochet or knit. Family is important to her, and her writing reflects this with the ups and downs of relationships explored. 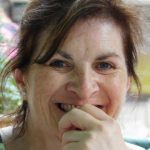 Her short stories have been published in many magazines, newspapers, and anthologies both in Ireland and abroad, Germany, India, and the USA. I am so pleased to meet Mary, Nicholas. It is amazing how those that are meant to write find writing. I never planned to write or be a writer. I started writing large publications at work which introduced me to research and writing. I ended up writing 9 books. I then started writing little children’s books with my son and now I have finished my first adult novel. The more you write the deeper the drive becomes. This book title is certainly an attention-getter! Thanks for sharing, Nicholas! Thank you, Jan for reading. Sorry I am late in replying. Delighted to meet Mary and thanks for sharing Nicholas. Lovely to meet you too, thank you for reading and to Nicholas for hosting me.